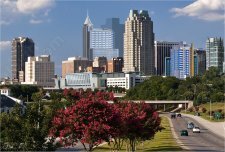 TRIANGLE REGION, North Carolina -- Welcome to Raleigh-Durham Appraisals. 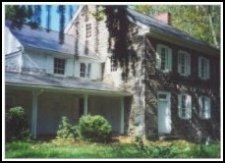 We are an experienced and fairly priced leading provider of quality home appraisals in Raleigh, Durham, Chapel Hill and surrounding Triangle cities. HOME SELLERS and BUYERS: Save time and $$$!!! Know your home's true value from an objective source. We provide appraisals for accurate presale pricing and quicker sales; value is frequently lost when you leave your home on the market for months on end; buyers can make peace of mind purchasing decisions with the right-priced offer. We are an impartial and independent party to the transaction. Give us a call or e-mail us if you are looking for a state-certified Raleigh home appraiser, Durham residential appraiser, Cary house appraiser or home appraisal services in the other cities we service: Apex, Chapel Hill, Garner, Holly Springs, Fuquay-Varina, Carrboro, Clayton, Wendell, Zebulon, Knightdale, Wake Forest and the RTP area. • We provide services to lenders as well as homeowners, real estate brokers, builders, attorneys, CPAs and financial planners.